A picture is, indeed, worth a thousand words. An Early Childhood Programs preschool student at city school (SACS) who requires physical support for everything he does received a power car. His previous chair kept his body and head in an upright, seated position. All his mobility depended on family, physical therapists, and teachers. 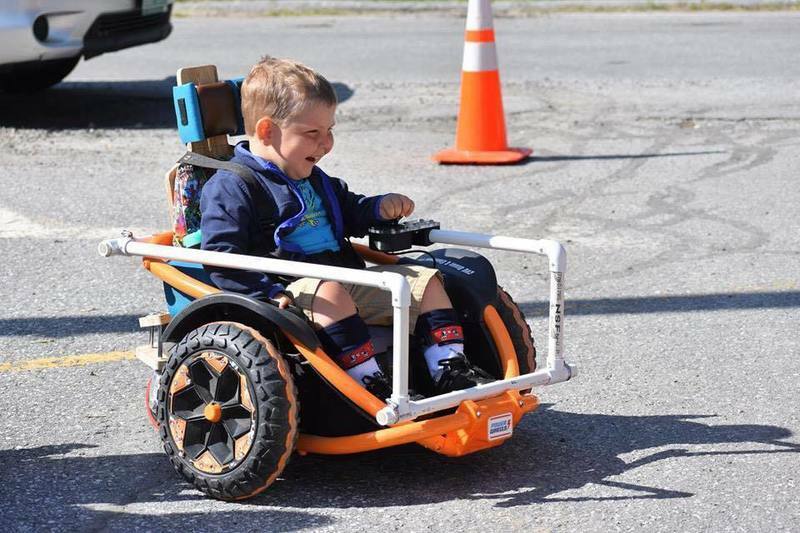 To improve his life, high school students from Champlain Valley Union High School (CVU) adapted a power car called a WildThing (see linked Messenger article) for this student to use. 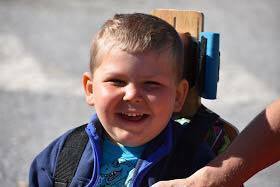 The chair provides the student with his first form of independent mobility and everyone on his team is excited about it. A CVU student and instructor came to SACS to fit the chair and recipient. His astonished smile shows what his first experience with mobile independence must feel like.